Brand new technologies, same old problems. We have all seen it, participated in it, heard about it, or been victims of it — childhood bullying. Whether it is stolen lunch money (or other valuables), physical violence, or name calling and shaming, children being bullied by other children is an old problem with many manifestations, and one we adults cannot entirely solve for the generations coming up after us. As the old saying goes, “the more things change, the more they stay the same.” People are people, and though our surroundings and interests and technologies differ from one generation to the next, basic human nature does not. There are bullies, and there are the bullied — but this does not mean adults should sit on the sidelines and do nothing to intervene. Quite the opposite. The statistics about bullying in the United States can be frightening for parents, if we pay attention to them for just a few minutes. As examples: it is estimated that 25% of kids are bullied in school; most schools address bullying very poorly; statistics show that bullying is one of the top motivators in school shootings carried out by students; and being bullied by peers can have lifelong implications for behavior and self-esteem. And now, in addition to the usual taunting and teasing of the past that required muscle and/or social standing, bullying over electronic communication, or cyberbullying, has become a real problem for our school-age children. We have seen some rather dramatic evidence of what this type of bullying can do to a child on the evening news lately. Cyberbullying allows bullies to torment their victims not only at school but any time of the day or night, any day of the week. Cyberbullying can include text messages, social media (such as Facebook), pictures, and can even happen through email or in online chat rooms. In the place where children should feel the safest — in their homes — now the bullies have access there as well. A child who is being attacked at school can now be bullied around the clock, and online bullying can have an even larger reach and participation than at school. 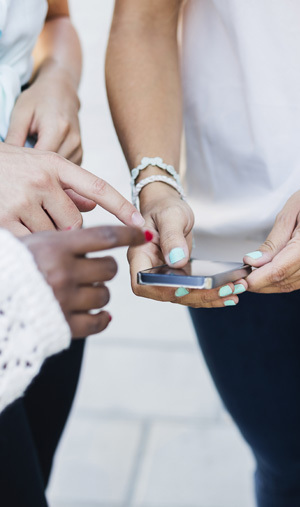 Social media posts can be made public and shared, pictures can be passed around via text message, and students can be humiliated and shamed horribly by cyberbullying. Though most schools have a policy that prohibits students from cyberbullying (just like there are policies against bullying at the school), proof has to be shown before any action can be taken. 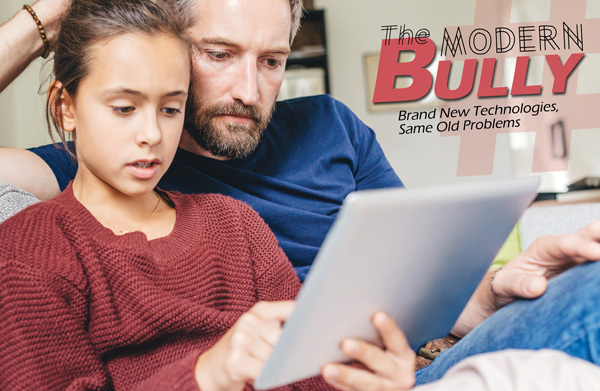 It is just as difficult for parents to discover cyberbullying as any other type, but if it is found, it is important that it be documented and reported. One positive (among many true benefits) about online communications is that they are often trackable, so a bully can be sought out and dealt with by the proper authorities, be they school administrators, parents, or even police (depending on age, circumstances, etc.). It is desperately painful for us as parents to see our children going through difficult situations where we feel helpless. We cannot fight our children’s battles for them (at least not when the “foe” is another child), but we can help them. Often our children will not open up and share about bullying situations for various reasons, so parents have to be attentive and watch out for potential signs. When a child is picked on, shamed, or physically attacked by other children, the harm to them is real. It is important that those situations be addressed properly and that parents be supportive and helpful for their children. Children affected by bullying are already victimized, so any type of reaction from parents that might reinforce negative feelings or diminish self-esteem should be avoided. It is crucial to keep lines of communication open with our children so that they feel safe and comfortable sharing with us. Children should be able to trust us with their feelings, their problems, and their egos, knowing that they are not jeopardizing our pride in them when they share their struggles with us. Discussions about what inspires people to bully others are good, but it is important that real action be taken as well. A bully often has many victims, so by bringing attention to what is going on, many people could be helped, including getting the bully the help he or she needs. Almost as difficult as watching our children suffer is knowing that our children are the cause of someone else’s suffering. No parent wants to hear that their child is a bully, but we need to hear it and be able to help our children through that situation as well. Bullies may “grow out of it,” but often the reasons they target weaker children go deeper psychologically and need to be addressed for the child to change. There are two main character traits among kids who bully others, and they are opposite sides of the same coin. Some bullies are very dominant, and tend to be in charge of their friends and social groups. They typically care a lot about their popularity and are interested in keeping and increasing their power base. The other side of the bully coin are those children who stand more apart from their peers. 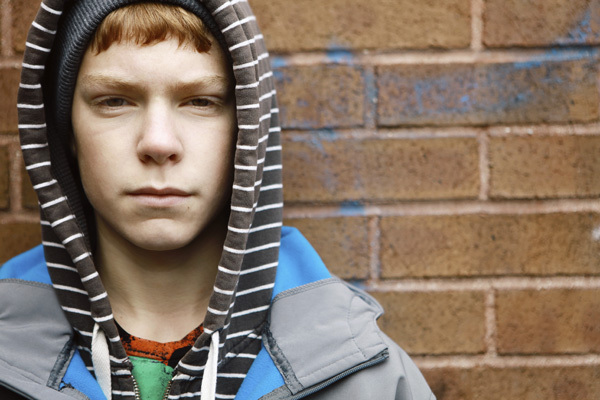 They may have low self-esteem and be less involved in social structures and in their school. No matter which of these two personality types a bully may exhibit, or something inbetween, at the center of their attacks on other children is the way they feel about themselves. If you are belittling another to feel powerful or to increase your power, you are really doing the same thing — focusing on power. The same goes with self-esteem: whether you are trying to show how much you do not care or trying to feel better about yourself, the focus is still on self. This is the main reason that bullies, not just victims, need help. Bullies have something going on inside of themselves that gives them the feeling that they need to lash out at other people in order to somehow establish or validate themselves or their feelings. These types of personality struggles can have far-reaching implications in adulthood and need to be addressed in order for a person to thrive throughout their life. If you hear from the school, other kids, or other parents that your child is suspected of bullying other children, it is important that you not react defensively. Certainly we all want to defend and protect our children, but that also means protecting them from their own actions. So listen, talk to your child, observe, and come to your own conclusions with an open mindset and out of love for your child. Also, it is important that we not correct a child who is bullying others from a place of anger — this will only validate their own behavior toward those weaker than themselves. Many things are unclear when it comes to the future, but some things are certain — bullying, death, and taxes. They have always been around, and they will continue to be. But when it comes to bullies, it is clear that both sides of the equation need addressing. Bullied children need help, as do those who bully them. All parents try to raise compassionate and empathetic children. That is the best way to combat bullying before it ever begins. People who think of others and care for others are much less likely to turn around and take advantage of others. But, if and when bullying happens, it is important that parents be attentive and know how to respond and get help for all of those involved.